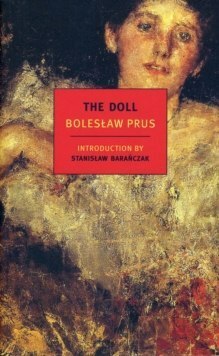 The Doll is a classic of Polish literature, a novel that takes in the whole nineteenth century and looks ahead to modern questions of empire, revolution, anti-Semitism, and socialism. Yet it is less a novel of ideas than a novel of people who have ideas, characters as vivid and memorable as any in Dickens. As the novel opens in Warsaw in 1878, our hero, Wokulski, having risen from rags to riches now seeks the respect of the aristocracy and, in particular, the love of the cold and scheming Izabela Lecka. The rich cast includes the old clerk Rzecki, nostalgic for the revolutions of 1848; the young scientist Ochocki, dreaming of flying machines; the deranged and manipulative Baroness Krzeszowska; the angelic widow Stawska; the wise dowager duchess; and many more. Each is constrained by his or her social status in this story of money, love, and class at the end of the age of duels and the beginning of the age of electricity. Boleslaw Prus's great gift is to see this panorama on an intimate human scale, in the details of what people wear, what they eat, and, above all, what they say. We hear Wokulski's story through all of Warsaw's gossip, in the drawing rooms of the elite, in the restaurants and taverns of the middle class, at the races and the theater, and in the streets.